but its very hard and I cant find out all that features. do you have a sample of what you want to do ? 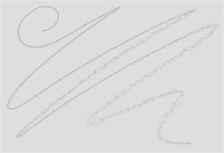 Ok I quick made a simple Pencil created from the Swarm default brush. You can play with the Scatter Parameter to adjust the spreading of the brush.